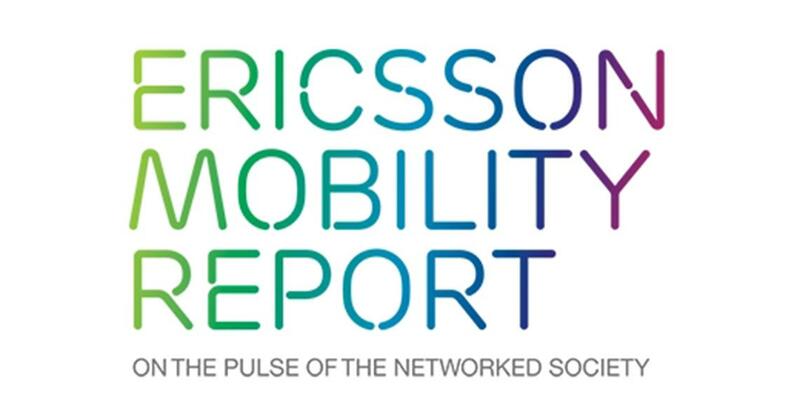 The latest edition of the Ericsson Mobility Report, published on June 1, reveals that the Internet of Things (IoT) is set to overtake mobile phones as the largest category of connected device by 2018. Between 2015 and 2021, the number of IoT connected devices is expected to grow 23 percent annually, of which cellular IoT is forecast to have the highest growth rate. Of the 28 billion total devices that will be connected by 2021, close to 16 billion will be IoT devices. Western Europe will lead the way in adding IoT connections - the number of IoT devices in this market is projected to grow 400 percent by 2021. This will principally be driven by regulatory requirements, for example for intelligent utility meters, and a growing demand for connected cars including the EU e-call directive to be implemented in 2018. Rima Qureshi, senior vice president & chief strategy officer, Ericsson, says: "IoT is now accelerating as device costs fall and innovative applications emerge. From 2020, commercial deployment of 5G networks will provide additional capabilities that are critical for IoT, such as network slicing and the capacity to connect exponentially more devices than is possible today." Smartphone subscriptions continue to increase and are forecast to surpass those for basic phones in Q3 this year. By 2021, smartphone subscriptions will almost double from 3.4 billion to 6.3 billion. Also revealed in the report, there are now 5 billion mobile subscribers - unique users - in the world today, which is testament to the phenomenal growth of mobile technology in a relatively short period of time. Detailed in the report is a dramatic shift in teen viewing habits: use of cellular data for smartphone video grew 127 percent in just 15 months (2014-15). Over a period of four years (2011-15) there has been a 50 percent drop in the time teens spend watching TV/video on a TV screen, and in contrast an 85 percent increase in those viewing TV/video on a smartphone. This, and the fact that the upcoming generation of mobile users are the heaviest consumers of data for smartphone video streaming (Wi-Fi and cellular combined), makes them the most important group for cellular operators to monitor. In 2016, a long anticipated milestone is being passed with commercial LTE networks supporting downlink peak data speeds of 1 Gbps. Devices that support 1 Gbps are expected in the second half of 2016, initially in markets such as Japan, US, South Korea and China, but rapidly spreading to other regions. Mobile users will enjoy extremely fast time to content thanks to this enhanced technology, which will enable up to two thirds faster download speeds compared with the fastest technology available today. A global growth story: mobile broadband subscriptions will grow fourfold in the Middle East and Africa between 2015 and 2021; mobile data traffic in India will grow fifteen times by 2021; and despite being the most mature market, US mobile traffic will grow 50 percent in 2016 alone. Data traffic continues unabated growth: global mobile data traffic grew 60 percent between Q1 2015 and Q1 2016, due to rising numbers of smartphone subscriptions and increasing data consumption per subscriber. By the end of 2021, around 90 percent of mobile data traffic will be from smartphones. LTE subscriptions grew at a high rate during Q1 2016: there were 150 million new subscriptions during the quarter - driven by demand for improved user experience and faster networks - reaching a total of 1.2 billion worldwide. LTE peak data speeds of 1 Gbps are anticipated to be commercially available in 2016. Additional spectrum harmonization needed between countries planning early 5G deployment: 5G is expected to start more quickly than anticipated, and spectrum harmonization is needed between countries planning early roll-outs. This is in addition to the current process for WRC-19, which focuses on spectrum for commercial 5G deployments beyond 2020. The Ericsson Mobility Report is one of the leading analyses of mobile data traffic available, providing in-depth measurements from live networks spread around the globe. The report uses these measurements and analysis, together with internal forecasts and other relevant studies, to provide insights into current traffic and market trends in the Networked Society. The Traffic Exploration Tool, which accompanies the report, can be used to create customized graphs and tables. The information can be filtered by region, subscription, technology, traffic and device type. The report defines a connected device as a physical object that has an IP stack enabling two-way communication over a network interface.